Photos taken on Queen Elizabeth Drive near Landsdowne Park, May 10, 2008. 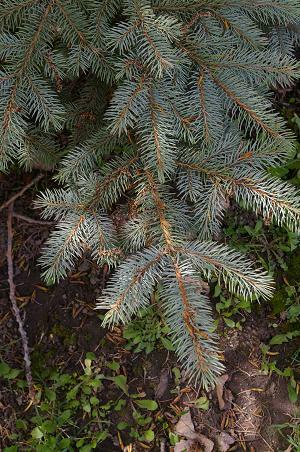 Colorado spruce often has blue-green needles which can be very sharp. 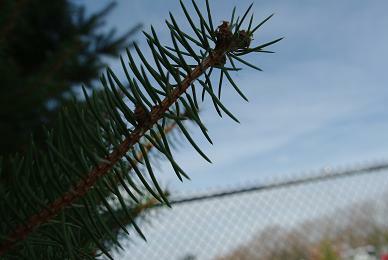 It usually has a stately appearance. 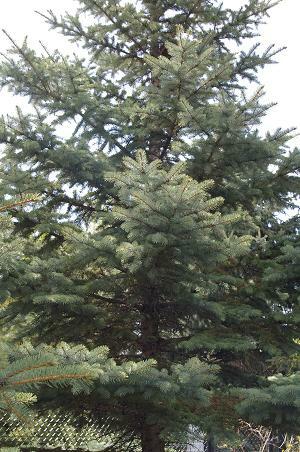 The cone is paler and somewhat longer than white spruce. 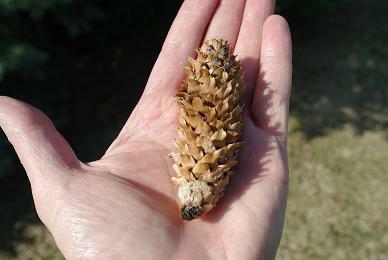 Its edges are "frilled".